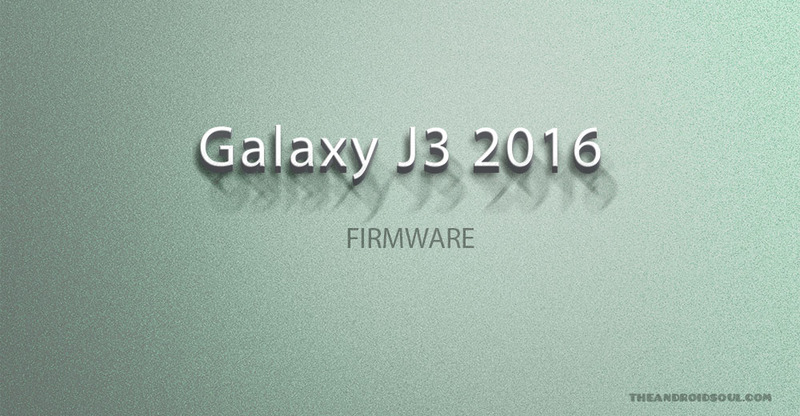 Find the Samsung’s stock firmware for your Galaxy J3 here. Installing the firmware is easy, and using it you can update your Galaxy J3 without waiting for the OTA update. Moreover, you can also unroot your Galaxy J7, or can perform a bootloop fix, because once a firmware is installed, the device goes back to stock in factory condition. We’ve provided very fast working links below, which should serve as a good Sammobile alternative to you, as the speeds are even better than Google drive and Mega. Wondering which model no. is for which carrier? Here you go. Be sure to check and find the correct model no. of your Galaxy J3. Then, based on your device’s model no., look for the appropriate firmware build from above. Next, install the firmware on your Galaxy J3 by following the guide linked right below. 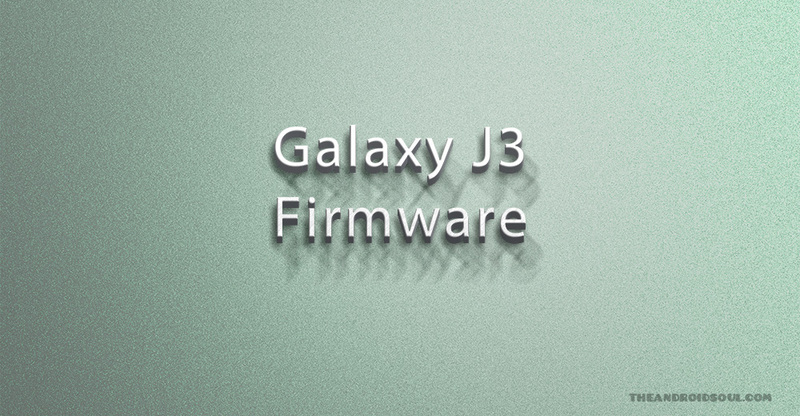 Let’s see how to install the firmware on your Galaxy J3. Make sure you have more than 30% battery on your device. Step 1. Make sure you have downloaded the correct firmware file on your PC. See above for how to download correct firmware file for your Galaxy J3 and download links. Step 4. Extract the firmware file now. You can use a free software like 7-zip for this. Install 7-zip, then right click on firmware file and under 7-zip, select ‘Extract here’. You should get a file in .tar.md5 format now. (You may get 4 or more files, with AP, BL, CP or CSC etc. written at the beginning of those files.) We will be loading this file into Odin, to be installed on the device (in step 10 below). Step 6. Disconnect your Galaxy J3 from PC if it is connected. Press and hold the three buttons Volume down + Home + Power together until you see the Warning screen. Step 10. Load the firmware file into Odin. Click the AP button on Odin and the select the .tar.md5 file from above. Load the firmware files(s) on your device. This depends on how many files you got in step 4 above upon extracting the firmware .zip file. Case 1: If you got a single .tar/.tar.md5 file, then load this into AP tab of your Odin software. Then go to next step. To load the file, click on AP tab, select the single firmware file starting with AP text, wait for it to load, and then skip to step 11, ignoring the rest of the part of this step. Case 2: If you got more than one .tar/.tar.md5 file, then you must be having files starting with AP, CSC, Home_CSC, BL, CP, etc. stuff. In this case, choose the files as follows. Select the firmware files as follows. [Different] Click on CSC tab, and select the file beginning with HOME_CSC text. If HOME_CSC file isn’t available, then select the file beginning with CSC text. Go back to Log tab now, as it will show the progress of firmware installation when you hit the start button in next step. That’s it. Let the device restart automatically. The first start of the device may take time, so wait patiently again. When it has, verify the installation. Check the Settings > About device, to confirm new build no. based on the firmware you just installed. Need help? Be sure to let us know via comments below. Fix your Galaxy J3 if it’s giving you force closes errors and restarts randomly. Unbrick your Galaxy J3 if it’s bootlooping and stuck at logo when restarting. Go Back to Stock on your Galaxy J3 — helps when looking to sell the device, or fix installing OTA updates if broken. Restore Galaxy J3 to factory state. Upgrade your Galaxy J3 to newer Android version. Downgrade your Galaxy J3 to lower build no. at same Android version. Remove custom recovery like TWRP and CWM, if installed, on your Galaxy J3. To perform any of the above, simply install the firmware meant for your device, as per its Galaxy J3 firmware in Settings > About device.